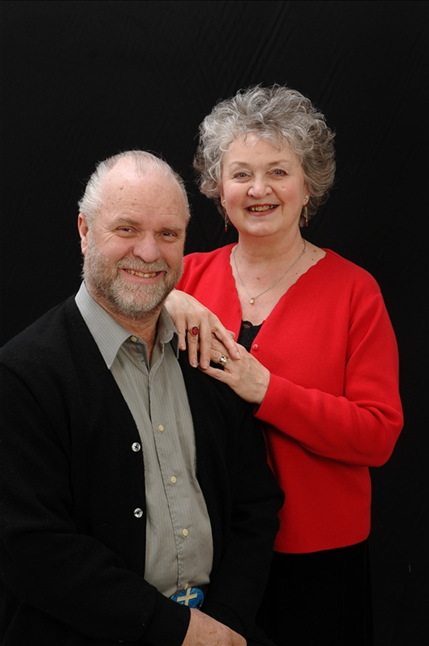 We are Ron and Eileen Druck, husband and wife, who travel taking the gospel throughout the country. We minister at churches, campgrounds, nursing homes, festivals, biker rallies, retirement centers, Senior Centers etc. We do those things locally and when the Lord calls for us to go on the road we take our little motorhome and motor on down the road. Proclaiming the gospel through the ministry of music. While working a full time job, we had a vision to take our ministry full time when we retired, and when we did retire in 2002, the Lord led us to do just that - go full time. We agreed with Him to go where needed. He has kept us very busy and each year adds new places and people for us to minister to. In addition to being an ordained minister, Ron has been singing and writing gospel music for over 45 years. He and his family have traveled throughout the eastern United States and into Canada sharing their music and their love of the Lord. With over 22 albums to his credit and a growing repertoire of original works, Ron's music appeals to all who enjoy hearing God's message.